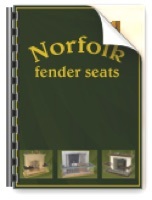 No fireplace deserves to be without a Norfolk Fender Seat. Whatever the size of the room, you will sometimes have the need for extra seating, and that's where the club fender comes into its own. 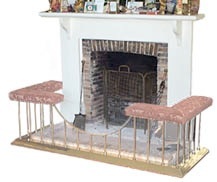 The frame itself takes up only a few inches around the hearth, a small area that is otherwise redundant. Our traditional designs grace the best fireplaces across the world, from Old Rectories and Manor Houses, to London crash-pads and weekend retreats. We've a brochure to send in the post on request or click the green brochure cover, right, to download. The award winning Grenadier is guaranteed to light all solid fuels including wood, coal and smokeless fuels - and can take as little as a couple of minutes to do it. Click here for info and video. There's a rough price guide in the Q&A (Question 2) section and the detailed price list and measuring chart are downloadable here, pdf. 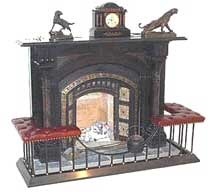 The Rough Guide is a good place to start for an overview of the styles and elements involved; the extensive Gallery illustrates myriad fireplaces and club fenders; the Measuring Guide will walk you through to a perfect fit; while the Question & Answer page deals with any other business. 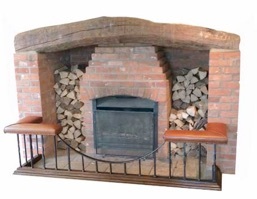 If you're eager to see how one would look with your fireplace, get yourself a Fantasy Fender Seat. We visit customers all over mainland Britain, to measure-up and show samples of the metal, wood and leather seats. This gives you the chance to see which options best suit your room, and just how little space the fender seat takes up. Click this link for more information on arranging a visit. 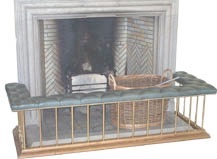 Alternatively, if you know what you're after, and are happy measuring your fireplace, we offer a ten per cent discount for orders received that don't require a visit. 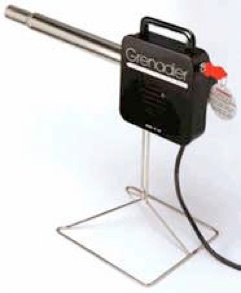 Orders from overseas are welcome - click here for export information and details of our agent in France. NFS en France Cliquez ici. Links to other related or recommended sites are here. Although there's a lot more information available via this website, we'd be happy to forward a hard copy of our brochure. price list and measuring chart in pdf format and post them to us for a quote. Of course, we are contactable by all the usual methods and look forward to hearing from you - after all, we're human too, and much prefer a spoken word to one typed. Website contents copyright 2019 Norfolk Fender Seats. The latest addition to our range is this wonderful fender seat in oak. Like all our fenders, it's made to measure and is upholstered in leather or your own fabric. 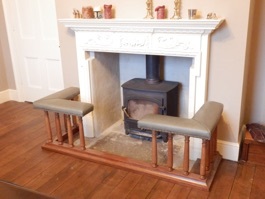 The chunky round uprights fit the larger than usual base to give a robust, open-fronted fireside seat.